UPSC has declared the NDA and NA I 2018 final result on its official website. Check out the merit list at the official website. The Union Public Service Commission (UPSC) has released the final result for the NDA & NA (I) 2018 exam on 26th November 2018. Candidates who have appeared for the Interview round can check the final merit list on the official website of the UPSC. Click on ‘Final Result: National Defence Academy and Naval Academy Examination (I), 2018’ link. The result list will appear with roll number and name of the selected candidates. A total of 379 candidates have qualified the examination with Ayush Kumar Singh as the topper. The results of Medical Examination have not been considered while preparing the final merit list. Marks obtained by the candidate in the NDA & NA I examination will be will be released 15 days after the final result announcement. How to check UPSC NDA and NA I 2018 Written Examination Result? Go to the official UPSC website – http://www.upsc.gov.in/. 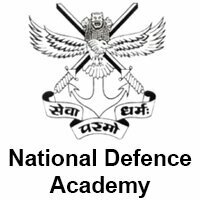 Click on ‘Written Result: National Defence Academy and Naval Academy Examination (I), 2018’ under ‘What’s New’ section. The official notice states that the candidature of all the candidates who have qualified the written examination is provisional. Candidates who qualified the written test were required to appear for the Interview round conducted by the Services Selection Board of the Ministry of Defence.